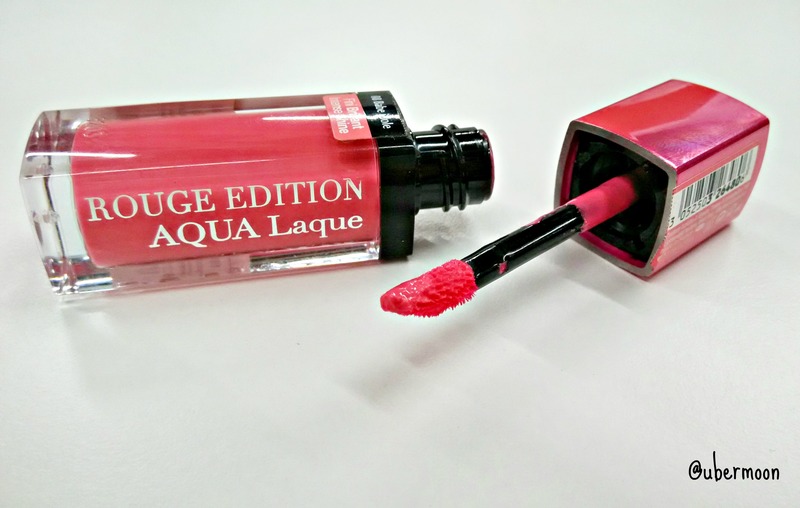 When I got selected as one of several lucky bloggers to get a hand on Bourjois’ new lip product, the Bourjois Rouge Edition Aqua Laque, I got super excited! I truly love Bourjois’ (lip) products and can’t wait to try this new one I even opened the box only several minutes after I got it. Hahaha. 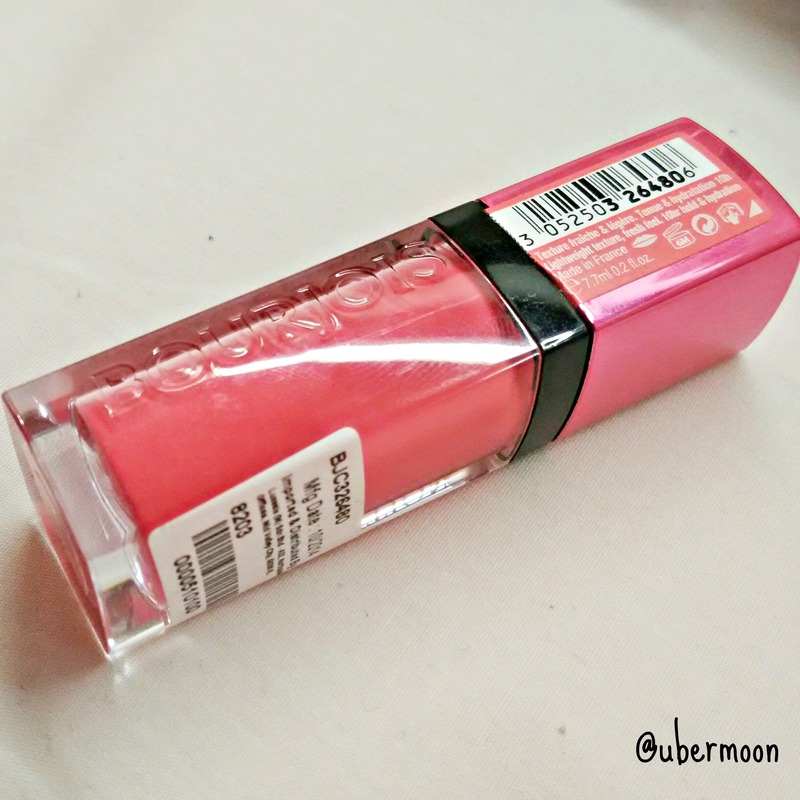 I got Number 8, Bourjois Rouge Edition Aqua Laque in Babe Idole to review this time. Simple and looks expensive like most of Bourjois’ packaging. It looks almost similar to Bourjois Rouge Edition Velvet in terms of size and material. ‘Bourjois’ brand is hard-printed (embossed?) on one of the side with ‘Rouge Edition Aqua Laque’ printed in silver on the other side. Two thirds of the bottle is a see-through glass so you can see the content. The cap is made of somewhat shiny plastic. Durability of material: quite durable and doesn’t at all act cheap. Once you open the cap, and smell the applicator, you can smell something like sweet candy and cold menthol. Since the first glide, I was impressed that the ‘coldness’ is actually real. You can feel it on your lips! It’s like gliding a menthol lip balm. Feels lightweight. Liquid with a semi-matte finish – although they claim it has intense shine. I thought it’s gonna be sticky (and Lord knows how I hate sticky texture lipstick) but turns out, it’s not. It claims to last for 10 hours. I doubt it. Once it’s set to a semi-matte finish, it can last around 4-5hours with meal and drink in between. You can add another swipe on top of the first swipe and who can resist the cold feeling it gives? I don’t mind adding one or two swipes in any minute of the day. Not making my lips cracked dry so def it’s hydrating. Love! Babe Idole is a coral pinkish color. When I glide it once, it’s actually very close to my actual lip color but after it gets to the semi-matte finish, the color looks a bit brighter yet casually calm and acceptable. I literally wear it daily for the whole week after I got it because of the color. I can wear it with any kind of clothes and color. So do I want to have another shades from the Bourjois Rouge Edition Aqua Laque? * Bourjois Rouge Edition Aqua Laque is available at Bourjois counter and store. 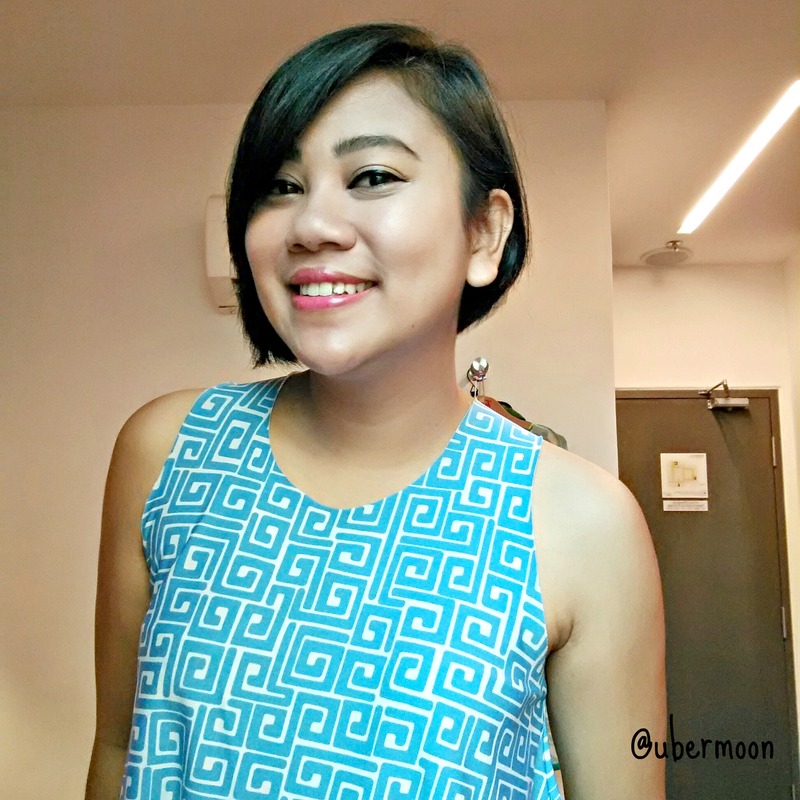 ← [SPON] Ready to go with KFC Zinger Wrap!